Looking for a website that looks great and delivers results? 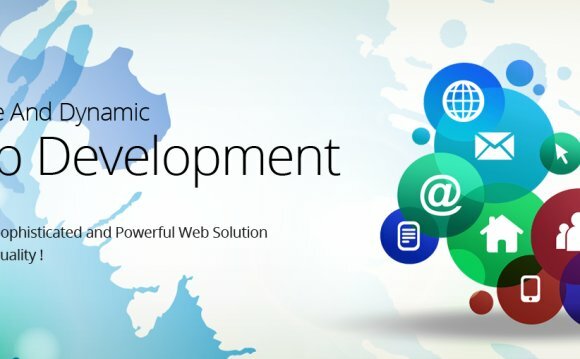 Our expert website development service professionals can build you a website that looks great and attracts visitors. From social networking to software to ecommerce websites, our team of experts can create the perfect website for your business! Newcomers to internet technology often find the task of design and web development to be daunting. In the past, a person would have to spend years learning coding and studying website design in order to establish an internet presence of note. Today, you can create your own website with a simple click of the mouse using our easy online builder yourself or our team of experts can design a professional web presence for you that you can be proud of. To begin the process, you simply tell our staff what your business is and your company’s ideas. If you want custom web application development, you are welcome to send us some examples of the sites that you like or dislike so we can see what type of site you are looking for. Once you are ready to proceed, you can select from 3, 000 different layouts. These templates are all professionally designed and are made to feature a range of color combinations. For premium plans, you can also discuss your ideas with a professional designer. They will customize the header design, content and make changes to the layout so your site will look totally unique and original. As we learn more about your needs, we can tailor your website even more. With different packages, you will be able to get more data and content processing. Our expert team can make a website based off of your instructions. To ensure that your website succeeds, we can even customize the content so that is Search Engine Optimized (SEO). This technical sounding term is a very simple concept that will ensure that your business succeeds. Google and other search engines scan everything on the web in order to find certain keywords. Specialized keyword phrases or related words can boost your ranking with the search engines. A higher rating equals more views and a broader reader base. With many web designers, users have to spend hundreds and thousands to receive customized web design. Once the website is completed, the owners have to spend even more money to update it and make changes. Our website development services are perfectly tailored so that you spend the least amount of money possible. In addition to offering customized website building software, we will update your website every month. Users of our services get 30 minutes of updates for free each month. If you need new images or text, we can do it. Instead of trying to call an unreachable webmaster, you can just send in a request and we will start on it immediately. For easier updates, you can do it on your own. To keep your readers engaged, we provide a range of content, templates and media options. We take your ideas and make sure that your website reflects the overarching idea of your business. If you ever need to have your web pages updated, we can do it. Just contact us and we will get started on the updates. To learn more click here or call us today at 480-463-8144 to speak to a member of our web design team. Why Use Our Website Design Service? Most people choose to use our website development services because it is easier. Creating your own website takes time and in depth training that most people do not have. For an affordable price, users can have an expert create their website. It saves them time and the web pages have a better appearance.